In 1937, the Hart-Parr Oliver 70 tractor took on a new streamlined look and became the Oliver 70. Gone was the name Hart-Parr from radiator housing. The cast iron shell had been replaced by a stamped steel housing. This streamlined model was available in several variations: row crop with a single front wheel, dual front wheels, or wide front axle. It was also available as a standard, orchard, and an industrial model. The tractor had a six-speed transmission, but 5th and 6th gear were blocked out on models sold with steel wheels. In 1937, the 18-27 Row Crop and 18-28 Standard were replaced by the 80. The 80 was built as a standard or row crop variation. This 3-plow model continued to use the Waukesha/Oliver engine. Oliver experimented with putting a Buda diesel in the engine, but a very limited amount of these were built, and out of 136 tractors, only a few of them are known to exist today. The model 28-44 was upgraded to the model 90 in 1937, and the high compression model became the 99. The 90 and 99 were only built in a standard version. The 90 could burn gas, kerosene, or distillate. The Oliver 60 was introduced in 1940 and had the same styling as the streamlined 70. It used the Waukesha/Oliver gasoline engine and was sold as a standard, row crop, or industrial model. 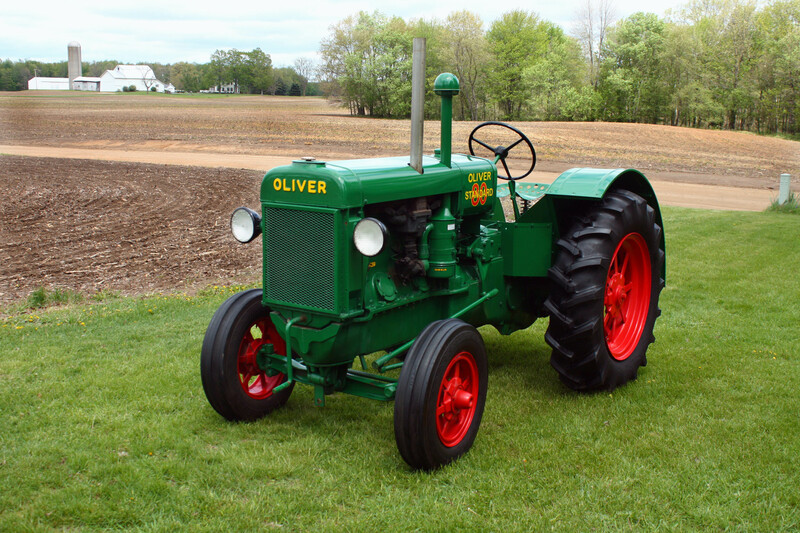 It was Oliver’s biggest little tractor and developed 17.85 drawbar horsepower.